Initially revealed as a gray prototype during Wonder Festival last winter, Takara Tomy has solicited updates for their upcoming Star Convoy figure which will be part of a new Japanese-exclusive line. 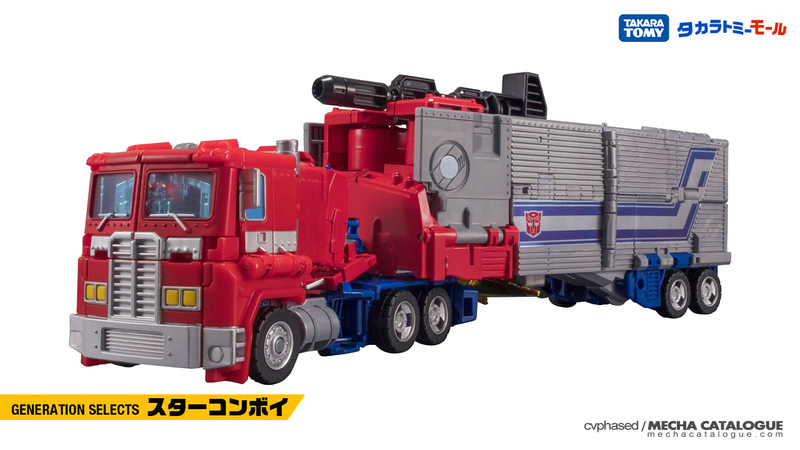 This updated version of Star Convoy would be appearing under the new Transformers Generations Select (or Generation Selects) line which is exclusive to the Takara Tomy Mall online shop. I’m inclined to think that the line will be featuring more obscure characters when compared to the regular Generation releases. 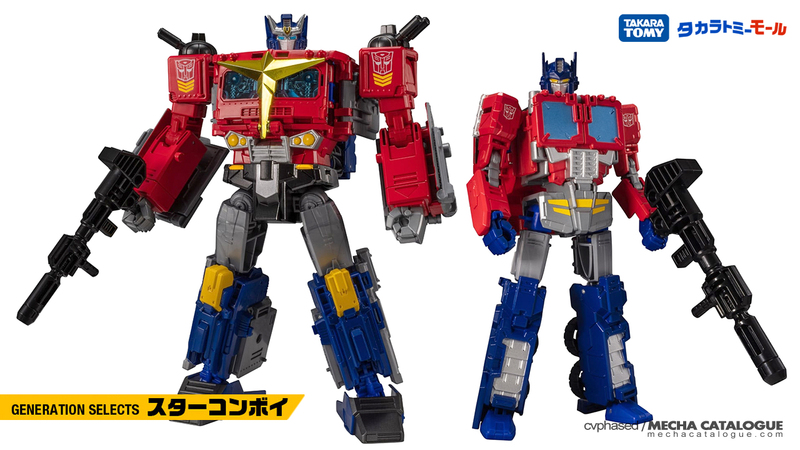 Star Convoy is also an extensive retool of Power of the Primes Leader class Evolution Optimus Prime, with the inner robot also retooled to be G1 Optimus Prime. While an exclusive to the Takara Tomy Mall, you can check your usual sources if they’ll be carrying this guy.